The once slim lead the Black Hills High School boys soccer team briefly enjoyed in the first half had dwindled rather quickly thanks to an impressive second-half offensive scoring output by R.A. Long. Win, and the Wolves would have erased a decade-long state playoff hiatus. The visiting Lumberjacks proved to be just too powerful. Black Hills, looking to advance to the Class 2A state tournament for the first time since 2008, fell one win shy of accomplishing that goal, losing to R.A. Long, 8-3, at home on May 12 in a match that decided the third and final state playoff seed out of District 4. 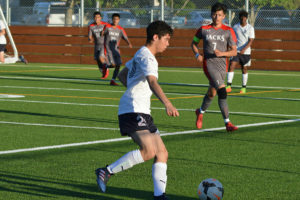 Despite having their season end on a disappointing loss, the Wolves had plenty to celebrate this year as they finished with a record of 16-4, including a conference-best 9-1 mark in the 2A Evergreen Conference. Black Hills entered district play having lost its last five district tournament playoff games, last winning in 2015 when the Wolves knocked off Centralia, 3-1, in a loser-out contest. Black Hills ended that streak in the first round, defeating R.A. Long in a 4-3 shootout victory. Hopes of a district title ended in the semifinals with a 2-1 setback to Woodland. The Wolves positioned themselves to secure their first state playoff berth in 10 years after knocking off Aberdeen, 6-2, in a loser-out match before playing R.A. Long a second time. 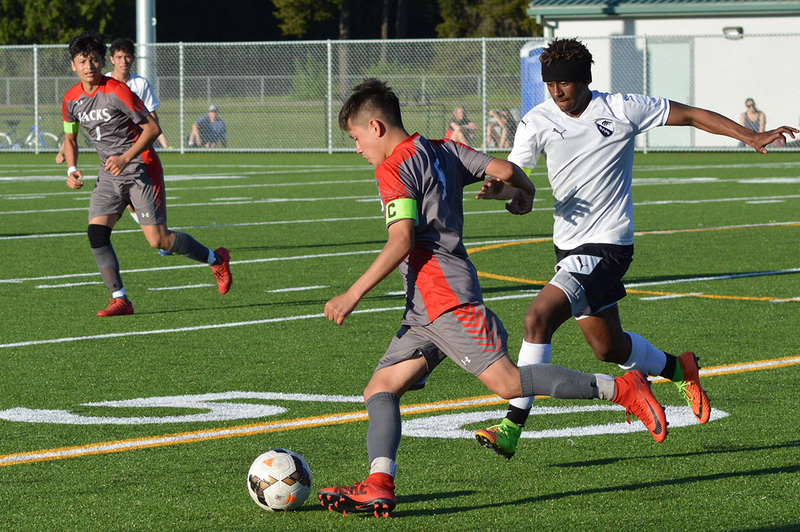 Black Hills, which closed out the regular season on a six-match winning streak, led, 2-1, in the 30th minute before R.A. Long (12-7-1) found the back of the net twice before the intermission to grab a 3-2 advantage. 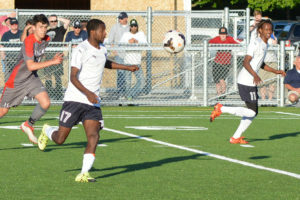 The Lumberjacks’ offensive onslaught carried over into the second half as they were able to punch in five goals, giving them a season-high-equaling eight for the match. Black Hills will graduate seven seniors, including Bekele Dowty, Yitagesu Dowty, Matt Jones, Bemnet Lester, Hengyi Liao, Christian Rees and Chad Turner. 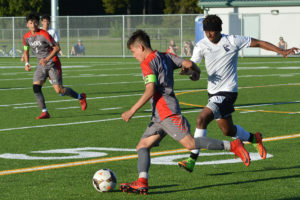 For the first time in seven years the North Thurston High School boys soccer team is heading to the Class 3A state playoffs. 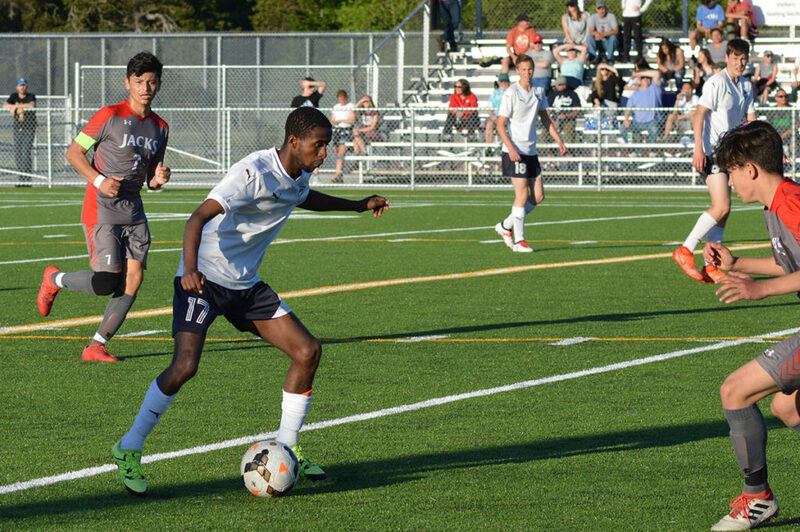 The Rams locked up their first state berth since 2011 after claiming the fourth seed out of the West Central/Southwest district with a 1-0 victory over Wilson. North Thurston (14-3) will open the state tournament on the road at Redmond. The Mustangs (14-3) ended an 11-year state playoff drought by defeating Mercer Island, 1-0, on penalty kicks (4-3) to earn the second seed out of District 2. Champions of the 3A/2A KingCo League, Redmond, which will take a nine-game winning streak into the state tournament, has made just one state playoff appearance (2007) over the last 27 years and have not won a state playoff match since 1986. 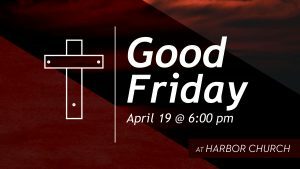 The Rams have won six out of their last seven with their only setback coming to 3A South Sound Conference champion Gig Harbor, 3-2, on May 1. North Thurston features a veteran roster this year with seniors Ignacio Arceo, Addison Demeire, Ethan Donovan, Ian Gibbons, Miles Hamilton, Melvin Lopez, Kody Marcott, Jaeger Maxfield, Edwin Pope-Ochoa and Jackson Winterrowd.